Ahead of the BRICS Summit in China, it’s time to assess whether the organisation of emerging powers has lived up to the hype. How times change; only a few years ago it seemed that the BRICS—originally Brazil, Russia, India and China—were emblematic of seemingly inexorable structural changes in the global economy. Even the addition of the rather less consequential South Africa did little to dispel the hype and air of self-satisfaction amongst a group of countries that hitherto had felt overlooked and undervalued. Now, however, things look rather different. The BRICS have rapidly become synonymous with economic problems and pervasive corruption. Even more tellingly, perhaps, there is precious little to show for all the summits, reports and conferences that have been held since the BRICS first gathered as a new international grouping in 2009. This is less surprising than it may seem at first blush. After all, the BRICS literally began life as a figment of the imagination: Jim O’Neil’s imagination to be precise. When the Goldman Sachs analyst coined the term in 2001, there was no such entity. It is remarkable that the original BRICs decided to put someone else’s idea into practice. It is less remarkable that the grouping has had difficulty finding common causes upon which to act. Other than the New Development Bank (NDB)—formerly known as the BRICS bank—concrete achievements have been rather thin on the ground. Even the NDB only has an initial working capital of US$50 billion (AUD$63.2 billion) and is generally eclipsed by the China-led Asia Infrastructure Investment Bank, which not only has more money but more members, too. Indeed, China is paradoxically both the BRICS’ biggest asset and arguably its biggest problem. China is not only the BRICS’ largest economy and source of funding by far, but it is also its only unambiguously great power. No doubt Vladimir Putin and Narendra Modi would disagree with this assessment, but the reality is that China matters to the international system in ways that Russia and India simply do not. More to the point, Xi Jinping and China’s increasingly nationalist ruling elite are acutely conscious of this reality. 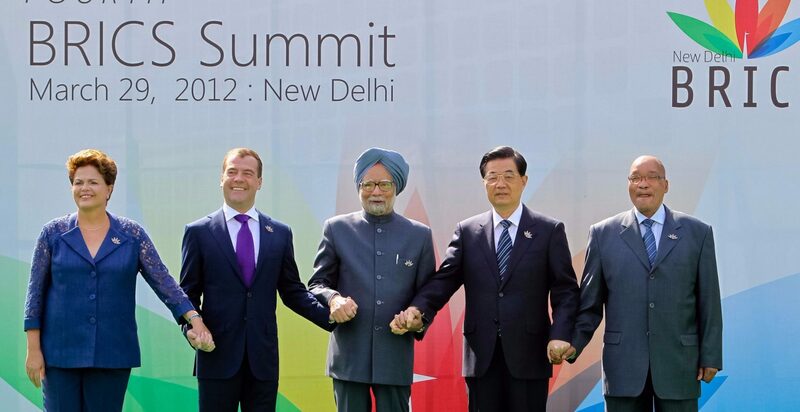 The lack of solidarity and common causes among the BRICS are all too visible. China and India have recently been teetering on the brink of conflict over a border dispute. India looks to have backed-off—itself a telling indicator of where the power lies in the BRICS—but it is a revealing reminder of the unresolved tensions that exist within the entirely arbitrary grouping. China’s relationship with Russia is also a rather unlikely marriage of convenience. Putin no doubt finds it rather galling that the Soviet Union’s former protégé has now become the second most important capitalist economy on the planet. Russia’s need for economic partners outside Europe means that it has to accept growing Chinese influence in its ‘near abroad’. Indeed, China’s other big initiative, the Shanghai Cooperation Organisation, which includes the major ‘stans as well as Russia, Pakistan and even India as of 2017, is another reminder of where the power lies in Central Asia. It also demonstrates that China has the diplomatic capacity—in addition to its obvious geoeconomic influence—to win friends and influence people in a way that even the US, let alone Russia or India, finds difficult these days. The less said about Brazil and South Africa the better, perhaps. The old joke about Brazil being ‘the country of the future, and it always will be’, looks as pointed as ever. Like South Africa under the erratic leadership of Jacob Zuma, Brazil remains mired in widespread, seemingly intractable corruption scandals. These scandals are undermining both countries’ reputations and their attractiveness as investment locations. Luckily for them, authoritarian friends like China may be prepared to overlook such shortcomings in the interest of group solidarity. 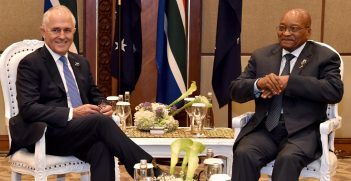 China sees South Africa as a testing ground for its larger investment push into Africa; and even being well and truly off the new Silk Road hasn’t stopped China pouring money into Brazil, either. The rather uncomfortable reality for China’s fellow BRICS countries is one that many of the PRC’s other neighbours—including Australia, of course—can identify with: China is so economically powerful it is impossible to ignore, but the economic benefits it brings come at a cost. The original impetus for the BRICS—a demand for recognition of their collective significance on the part of the rest of the international community—is starting to wear a little thin. If the BRICS grouping didn’t already exist, would anyone bother to invent it? China clearly has bigger geopolitical fish to fry. The main game for China is its bilateral relationship with the United States and the impact this has on its ambition to re-establish itself as East Asia’s principal power. The BRICS are in danger of becoming a second order issue as far as China is concerned, and one of limited instrumental value. Ironically enough, Chinese hegemony may be just as challenging for the other BRICS as it seems to be for everyone else. Mark Beeson is Professor of Political Science and International Relations at the University of Western Australia and the AIIA National Research Chair, appointed in February 2017. 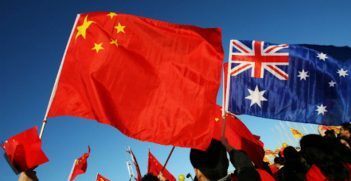 With Australia-China bilateral relations at close to a 10-year low, the Turnbull government would do well to reflect on what the past year's negative approach to this important relationship has achieved. Despite economic challenges and recent domestic strife, South Africa is working towards a strong future. Combatting corruption and pursing international economic and political collaboration will be important steps. 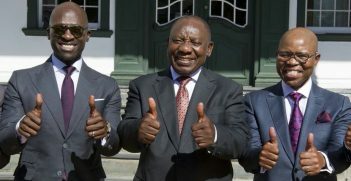 The lesson of a decade's state capture in South Africa may be that institutions are only as good as the people who respect them in letter and in spirit—and citizens and organised civil society should not limit active participation in political processes only to election time.